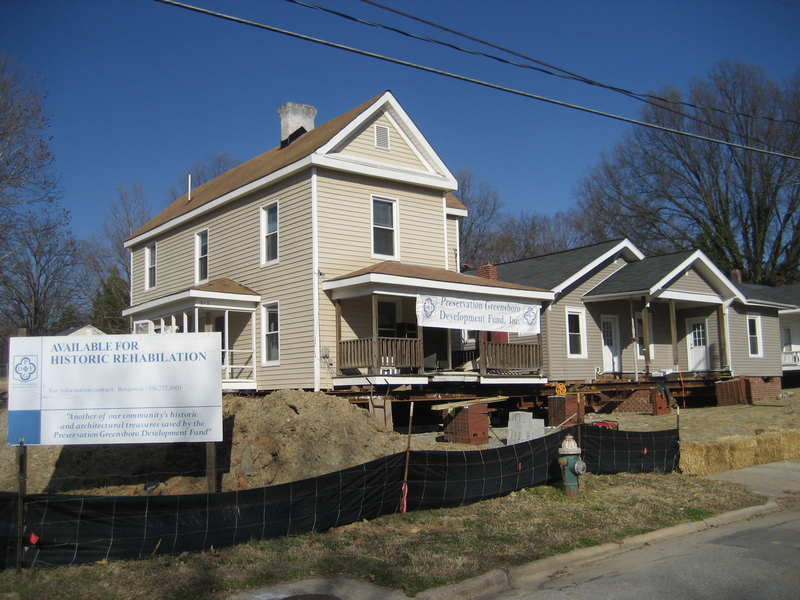 Preservation Greensboro Development Fund, Inc. (“PGDF” or “the Fund”) is a Greensboro-based non-profit corporation with 501(c)(3) tax-exempt status from the IRS. PGDF was initially formed in 1988 through grants totaling $100,000 from several community foundations to Preservation Greensboro. The Fund provides service to the community through a variety of legal interests. 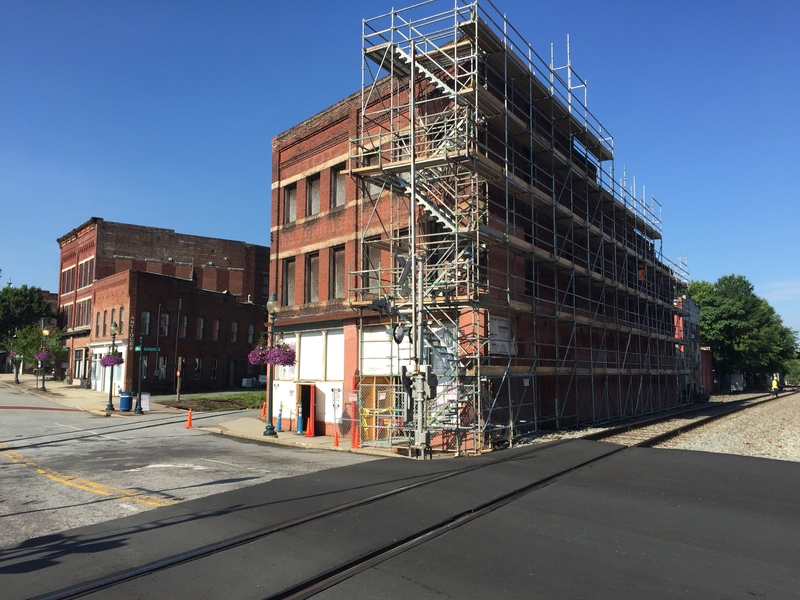 It works as a “revolving fund”, a pool of capital created and reserved for historic preservation activities – with the condition that the money will be returned to the fund to be reused for similar activities in the future. 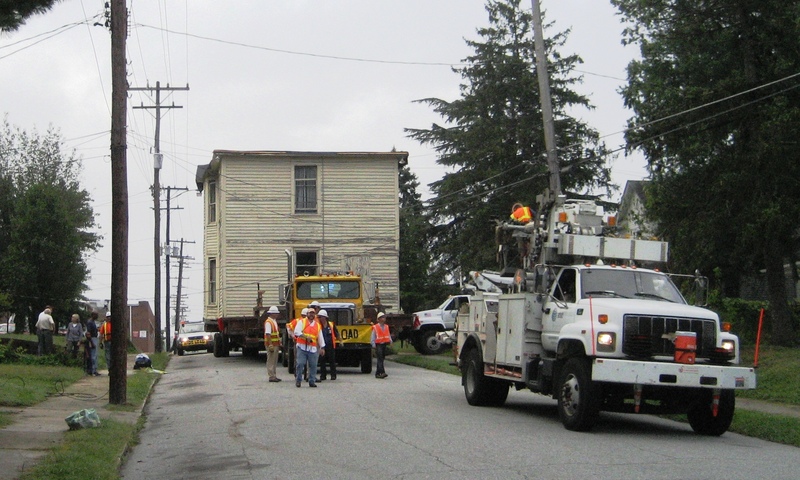 The all-volunteer board of the Fund has assisted in the restoration or conservation of properties in the Greensboro neighborhoods of College Hill, Southside, Cedar Street, Fisher Park, Glenwood, and Irving Park. Additionally, the Fund has assisted in planning efforts in the Summit Avenue neighborhood and Southside. It has served communities throughout Guilford County including Whitsett and High Point. 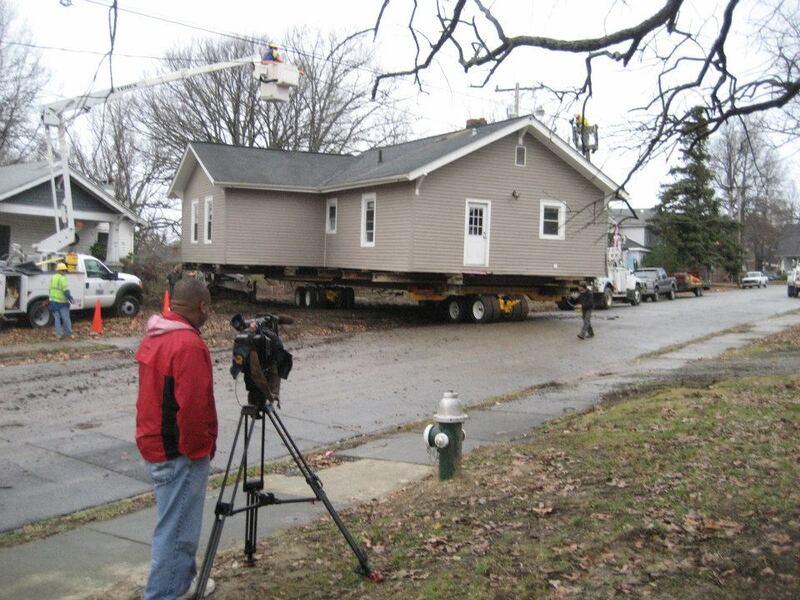 Below is the Sweeney-Penn House in Fisher Park, saved through the Fund in 2011. Utilizing these tools, the Preservation Greensboro Development Fund serves as a think-tank for special preservation challenges. This proactive and collaborative approach to preservation recognizes that solving preservation challenges can require the use of tools to exert financial or legal influence over the use and disposition of property. 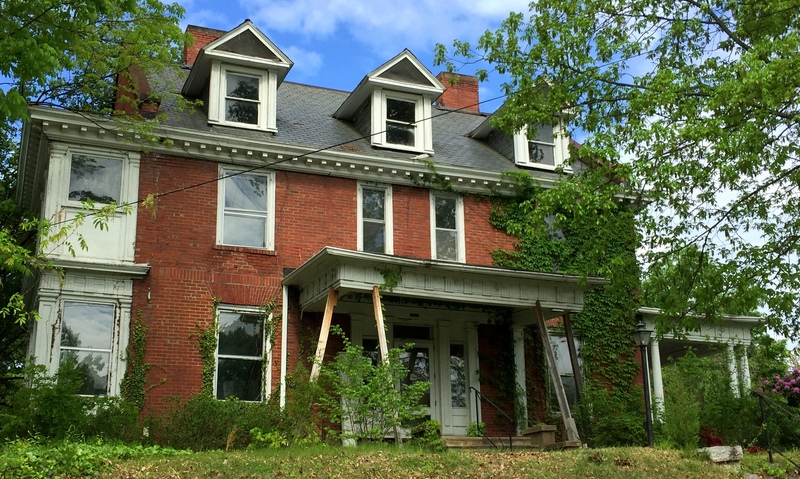 The Fund may acquire ownership or other legal interests (such as preservation easements) in historic properties, or by partnering with others to rehabilitate and protect historic properties. Though the Fund may temporarily own real estate, the general practice is to return properties to private ownership while retaining preservation easements for long-term oversight and stewardship. 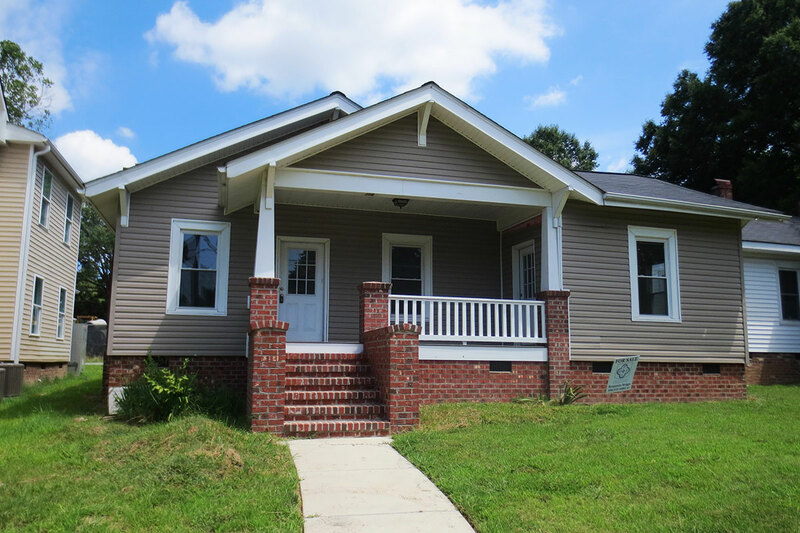 The Preservation Greensboro Development Fund maintains preservation easements on properties that it has preserved using the Fund, and it also considers acceptance of preservation easements from owners of buildings of historic or architectural significance. This includes buildings listed, or eligible for listing on the National Register of Historic Places, or those that have been designated as historic by municipalities/Guilford County, or PGI. Acceptance of easements must be approved by the Revolving Fund board with the understanding that the specific terms of a preservation easement’s limitation of building alteration will vary depending on the donor’s wishes. For greater detail on preservation easements and potential tax benefits, please refer to the publication Easements to Protect Historic Properties. Our mission: to pursue property acquisitions and partnerships to foster an enhanced environment by preserving and rehabilitating our community’s historic and architectural treasures. The Fund is pleased to consider partnerships and encourages new funding sources. If you would like to be involved with the Preservation Greensboro Development Fund, please contact the PGI office at 336-272-5003, or email Benjamin Briggs, Executive Director of Preservation Greensboro. Did you know? As Greensboro’s only not-for-profit advocate for historic preservation, our success is based on your support. Members receive two free passes to Blandwood, and much more. Become a member! Join Us! 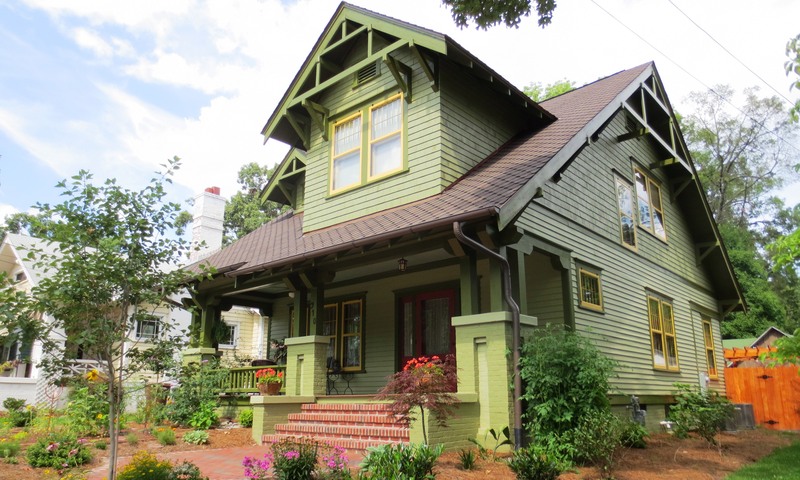 If you love architecture, historic neighborhoods, and history! be an advocate! Become a member! Join Us! Preservation Greensboro is among North Carolina's oldest city-based organizations dedicated to saving our community's architectural treasures! Become a member! What Can Greensboro Learn From Detroit? 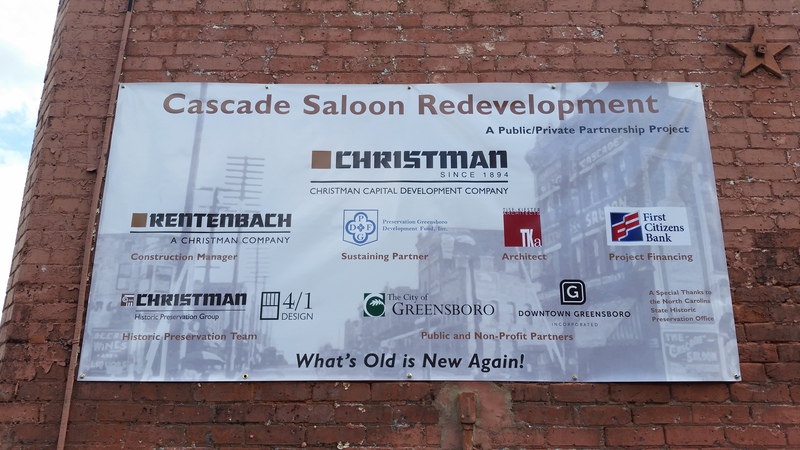 So You Want to Save an Historic Building in Greensboro? Lindley Park Tour Kick-Off Party! © 2018 Preservation Greensboro Inc.